Customized to fit the needs of any company - big or small. 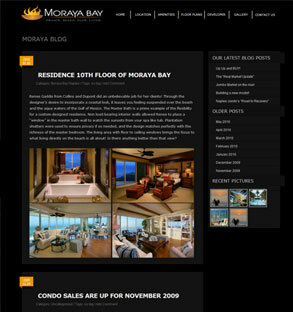 The Dunes, Moraya Bay and Aqua Beach Swimwear blogs are displayed below. Blogs are used for different reasons, but the main one is self-promotion and creating awareness of your business. To make the best of it, one needs not only the greatest content, but great design sense as well. Synergy Networks can help you with the development and promotion of your blog - increasing its interactivity with your visitors by adding various custom features. 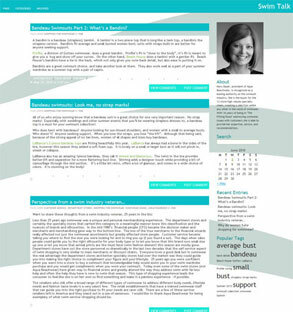 Synergy Networks can guarantee you a cutting-edge blog design, created by our experienced designers and developers. 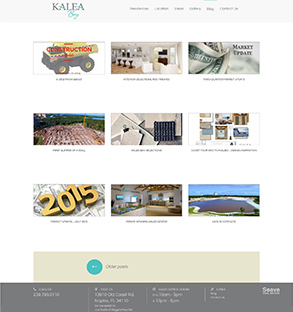 Our company will provide you with professional solutions, free quote and free blog-related advice. Here at Synergy Networks, we'll work with you to make sure we offer you the most professional and best-looking designs. For more information on our company, send us a message from our Contact page or if you'd like to receive a quote, Request a Proposal.